Urge incontinence, also known as overactive bladder or spastic bladder, is the involuntary loss of urine accompanied by a strong urge to urinate. Urge incontinence is not a disease on its own, but often a symptom for an underlying health problem. If you experience this type of incontinence, you should see your doctor to rule out the actual cause of the leakage. When a healthy bladder fills up, the muscles remain relaxed. As it gradually stretches, you get a characteristic sensation prompting you that you need to pee. This feeling kicks in when the bladder is half-full and healthy individuals are able to hold in for a bit until they reach a bathroom. In the case of an overactive bladder, the muscles begin to contract much earlier, even when the bladder is nowhere near full. This intensifies the urge to urinate and increases the risk of leaks. As mentioned, urge incontinence is often a symptom of another condition. Some of the underlying causes of urge incontinence include bladder cancer, bladder inflammation, bladder obstruction, bladder stones, infection, brain or nerve problems like multiple sclerosis or stroke, nerve injury, and enlarged prostate. Symptoms of urge incontinence include inability to control when you pass urine, the need to urinate often throughout the day and night, and the sudden urgency to urinate. 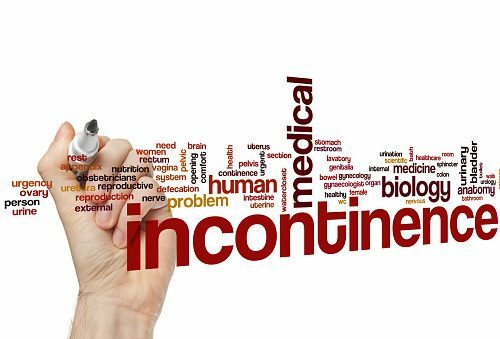 Urge incontinency may also be accompanied by other symptoms relating to the underlying cause of the bladder problem. This may include blood in urine, pain, or disability. It’s important to take note of these accompanying symptoms to help you narrow down on the possible cause of your overactive bladder. There are several tests your doctor can perform in order to diagnose the exact underlying cause of your urge incontinence. These tests include cystoscopy, which looks into your bladder, pad test where you wear a pad to determine how much urine you lost, ultrasound, measurement of urine after urination, urinalysis, urinary stress test, urine cytology, urodynamic studies to measure pressure and urine flow, X-rays, and completing a voiding diary to track fluid intake, urine output, and urination frequency. The main goal of treating urge incontinence is to resolve the underlying problem. This may consist of antibiotics and other medications and therapies, if applicable. There are four main treatment approaches for an overactive bladder: bladder and pelvic floor exercises, lifestyle changes, medication, and surgery. Exercise part of the treatment involves performing Kegels and retraining your bladder by following a urination schedule. For best results, avoid going in-between the scheduled times. Lifestyle changes include drinking water, drinking in smaller amounts, not drinking prior to bed, avoiding carbonated beverages, avoiding caffeine, spicy foods, acidic foods, and artificial sweeteners, and avoiding activities that stress the bladder. Medications can be prescribed to help relax bladder muscles and prevent bladder muscle spasms. Lastly, surgery is only used in severe cases of urge incontinence, connecting the bladder to the bowels for increased fluid retention. Never hold in your urine for too long – it can damage the nerves that send a response to your brain, instructing you when to go. Stay hydrated to help your body expel the toxins and bacteria to avoid any future UTIs. By following these bladder-friendly tips and being aware of the overactive bladder causes, you can ensure your bladder stays healthy for many more years to come.